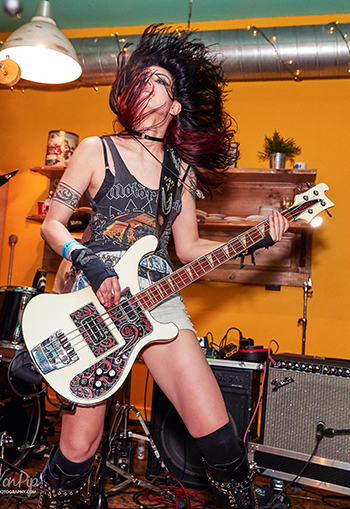 Becky is the head of bass and co-owner of Bristol Rock Centre, a rock school in Mangotsfield offering high quality private tuition, workshops, band coaching, rehearsal space and PA Hire. Bass, Guitar, Drums and Vocal lessons are taught from our dedicated studio or via Skype. Please visit the Bristol Rock Centre website find out more about what we can offer to musicians of all ages and abilities. Becky’s lessons are comprehensive yet focused on what the students aspire to achieve. Work on technique, music theory, sight reading, improvisation and grades with Becky, or just learn your favourite songs and gain the confidence to improve your live performance. Becky’s involvement with Rockschool Exams and books has given her a greater insight of how to approach music exams and how to apply what you are learning. As a graduate and occasional lecturer of BIMM Bristol, Becky can aid students who aim to progress onto music at higher education. If you enjoy these, please subscribe to the Bristol Rock Centre and Rockschool Youtube and check out the other videos we have online. 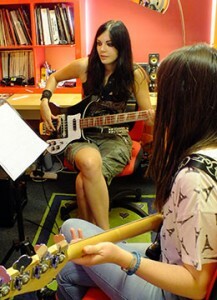 Here are a selection of bass transcriptions used for teaching and some instructional videos. I have included both TAB and standard notation versions to help anyone wanting to practice reading bass clef. Please get in touch for a quote if you are looking for a bass transcription service.